State and local officials joined with Ocean Power Technologies (OPT) Tuesday to recognize the success of one of the Pennington-based company’s PowerBuoys off the coast of Atlantic City. 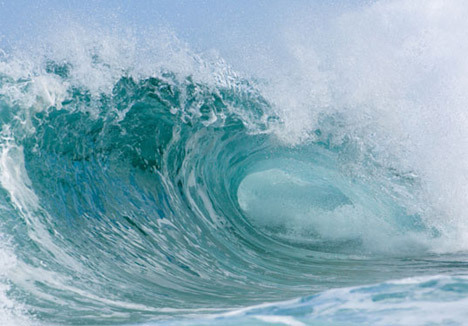 OPT is a pioneer in wave energy technology that harnesses ocean wave resources to generate clean electricity. The federal and state support, including assistance from the Navy, the U.S. Department of Energy, the U.S. Department of Homeland Security, the state Board of Public Utilities (BPU), the state Economic Development Authority (EDA), and the state Commission on Science and Technology. 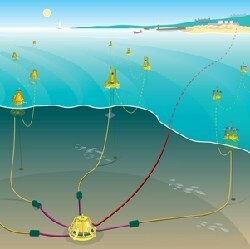 The PowerBuoy has successfully operated for three years off the coasts of Hawaii, Spain, Scotland and Oregon. OPT was founded 1994. It is a public company and operates out of a 23,000- square-foot facility. Since its inception, the company has focused on its proprietary PowerBuoy® technology, capturing wave energy using large floating buoys anchored to the sea bed and converting the energy into electricity using innovative power take-off systems. Commencing in 1997, OPT has conducted ocean trials off the coast of New Jersey to demonstrate the concept of converting wave energy and convert it into electricity. Ocean Power currently has 42 employees in New Jersey and plans to continue its growth. Franzini noted that EDA, in conjunction with BPU and the state Department of Environment Protection, recently launched Clean Energy Solutions, a suite of financing and incentive programs to further support the state’s effort to promote green job creation and a more environmentally responsible energy future.